Is memory enhancement right around the corner? “Everyone has had the experience of struggling to remember long lists of items or complicated directions to get somewhere,” Dr. Justin Sanchez of DARPA said in a recent press release. 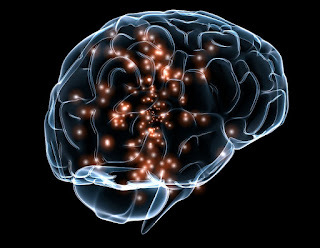 “Today we are discovering how implantable neurotechnologies can facilitate the brain’s performance of these functions.” The US Department of Defense is interested in how the brain forms memories because hundreds of thousands of soldiers – or “warfighters” as they are now called – have suffered from traumatic brain injury (TBI) and some have severe memory problems. Beyond the military, TBI is a major public health concern that affects millions of Americans as patients and caregivers and is incredibly expensive. A breakthrough treatment is needed and for that, ambitious research is required. But does this research agenda end at treating disease, or could these findings also be applied to memory enhancement goals? Beyond helping us to grab all the items on the grocery list and find the car in the parking lot, our memories fundamentally help us to form our sense of identity and personal narrative. It is a common observation in profound dementias and Alzheimer’s disease, that family members feel like their loved one who has lost the ability to recall recent events or names or to form new memories is no longer the same person they once were. While this basic truth about the importance of memory is persuasive as an argument for the significance of this research, it also brings the risks involved sharply into focus: tinkering with an individual’s memories and their ability to form them can have the effect of profoundly altering their identity and sense of self. In the past, DARPA has been very open about its goals for human enhancement so it is fair to consider the development of memory enhancement as a possible, if not likely, outcome of this research. The umbrella program at DARPA, called RAM for Restoring Active Memory (and invoking the term for computer memory) is what Dr. Sanchez was commenting on in the opening lines of this post. Examples of RAM projects can be found here and here and the stated goal of the project is to develop an implantable (i.e. inside-the-skull) device that can restore an individual’s memory abilities. This is notable because to the public, restoring impaired memory and enhancing memory function are seen as very different aims. In a recent Pew Research survey, 67% of US adults taking part in the study felt that a device that enhances ability far beyond that of any human known to date is taking technology too far and 69% are worried about technology like this. An improved, sharper, more reliable memory would be a useful improvement, right? If you give me the option between two computers and one has a much better memory, that one will always be my choice. The reality for human beings is probably not so simple. Consider Jill Price, one of only a few people in the world known to have Highly Superior Autobiographical Memory (HSAM). In the original description of her case, Price seems surprisingly ordinary in many ways. She earned mediocre grades in school and worked off and on as an office assistant after college. However, her autobiographical memory is astounding. Name a date after 1974 and she can tell you what day of the week it was, what she did that day, if any notable public events occurred on that date, and what the weather was like. Most of us would struggle to recount what we did on any given day last month, let alone decades ago. It is surprising, then, that her incredible memory did not make her extraordinarily successful in school or her career and, in fact, she described her memory as being rather burdensome, preventing her from letting anything go. After Price’s case became known to researchers, others came forward to be studied as well. After thoroughly vetting the volunteers, and studying the most likely HSAM cases, researchers concluded that these extraordinary autobiographical memory abilities were not paired with a more generalized genius or even improved memory in other areas. These cases highlight the critical balance between remembering and forgetting that probably goes a long way in helping us get through our daily lives. We also know from nonhuman animal studies that enhanced memory does not always lead to positive outcomes. At brain synapses, NMDA receptors are critical mediators of neuroplasticity. Genetically increasing the expression of a subunit of the NMDA receptor, NR2B, in mice improved the animals’ learning and memory across multiple paradigms. However, further testing demonstrated that these animals were also were more sensitive to some painful stimuli, highlighting the possibility that it may be difficult to selectively augment one neural process in a purely positive way. This, however, is just one example of a memory enhancement study. Additional studies in rodents have found that spatial memory can be enhanced by stimulating the entorhinal cortex and some of the negative effects of TBI on learning and memory can be ameliorated with stimulation of the medial septal nucleus, an input to the hippocampus. 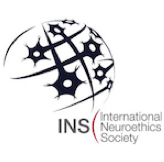 Patients suffering from intractable epilepsy have made an enormous contribution to neuroscience for several decades by volunteering for intracranial cortical and deep brain stimulation studies. Evidence from human studies is now emerging to suggest that stimulation of memory structures and pathways in the medial temporal lobe can also enhance certain types of memory. If an intracranial memory-enhancing device is developed in the near future, who should get it (and who would get to make that call)? To me, the risk benefit calculation is much easier than a similar one on cognitive enhancing pills. Opening up the skull is a rather significant barrier that will likely keep all but those who need it the most from considering such an intervention for enhancement (versus therapeutic purposes). Regarding enhancement, if soldiers were to receive implanted devices aimed at improving their performance in combat, what happens when their tour of duty is completed, or when they retire? Moreover, during initial testing of any devices in healthy subjects, there are significant and unique consent issues in the military due to power imbalances between officers and subordinates. Even in relatively recent history, there have been serious problems in human subjects research in the military, which have come to light as documents are de-classified. There are other, non-invasive neurotechnologies also in development that have been discussed here and elsewhere before and it’s likely that the technology will only become less invasive, smaller and, like everything else, wireless in the near future. In addition to helping TBI patients recover memory abilities, DARPA’s warfighter enhancement goals probably center around improving memory under combat conditions of extreme stress and fatigue, factors that can obviously impair memory performance. “Military personnel carry a growing responsibility to recount, report and act upon knowledge gleaned from previous experiences, and how well those experiences are recalled can make all the difference in how well these individuals perform in combat and other challenging situations,” Dr. Sanchez explained in a recent press release on the program. Human errors were blamed for the deadly US airstrike on a Doctors Without Borders hospital in Afghanistan last year that claimed 42 lives. Clearly, there are also potential costs for not pursuing enhancement technology. Military personnel are not the only professionals who need to perform at a high level under difficult conditions. Could surgeons and airline pilots also benefit from memory enhancing technology? These examples are often invoked in enhancement discussions because this type of work impacts other people’s lives and mistakes can be fatal. Therefore, technology that the military finds to be useful will likely have applications elsewhere in society. Consider another DARPA project, the Internet. Also as the technologies are improved (smaller, less invasive, more affordable), it’s likely that there will be a nontrivial consumer market. I, for one, am not overly thrilled about the idea of government scientists “influencing the accuracy of [my] recall” but maybe I just went a bit overboard with Stranger Things. To be clear, understanding the neural signatures of memory encoding, and how that process goes awry after brain injury, is fundamentally important work for basic and clinical neuroscience. Yet as memory enhancement research moves forward, it will be important to continue to keep neuroethics in mind which, surprisingly, is not the norm. A recent review article of the field never once even gives a nod to current or future ethical concerns. Given the fundamental link between memory and identity, research in this area should proceed with consideration of potential nonphysical harms of memory interventions. Finally, as noted above, the Internet as we know it today is in large part thanks to DARPA research, which is a bit ironic because now, with the Internet at our fingertips, who needs to remember anything anymore?